Evening light illuminating the forest canopy glows with the yellow hues of autumn leaves. 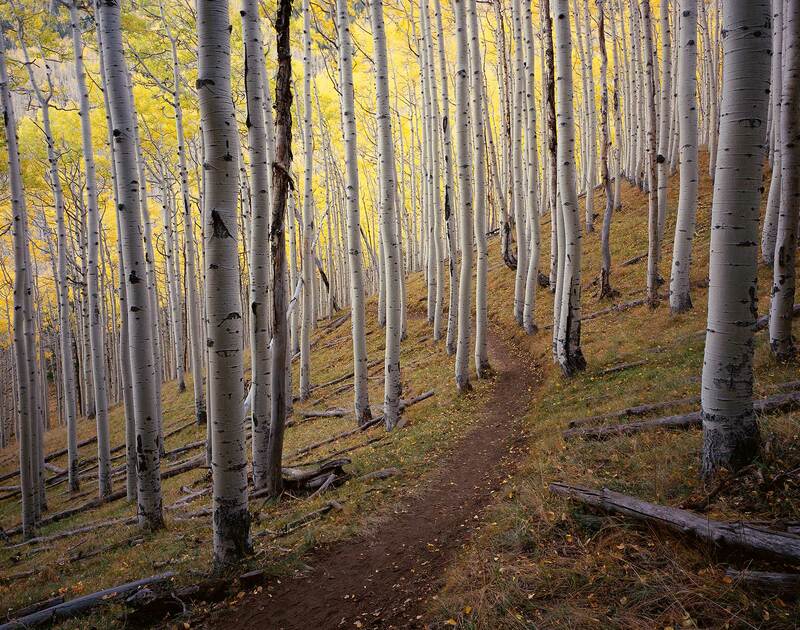 This trail leads to the inner basin of the San Francisco peaks, a lush volcanic caldera surrounded by Arizona’s highest mountains. This is one of my favorite hikes in the Fall, when the tall aspens sway in the wind, sending a golden rain of leaves fluttering softly to the ground.